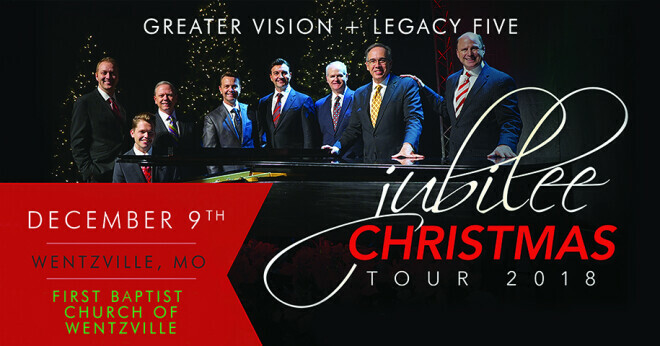 Come join us for a Jubilee Christmas Tour concert, at FBCW, featuring Greater Vision and Legacy Five, Sunday, December 9 at 6PM. Purchase discounted tickets in the church office now, or in the foyer November 11 and 18. Purchase tickets any time by calling 1-800-965-9324 or by clicking the Register link below.